Foster parents play a big role in keeping children safe and helping them to heal from abuse, neglect and trauma they have experienced and are vested in preventing abuse from occurring in the first place. • Find ways to engage your children while completing everyday tasks (meals, shopping, driving in the car). Talk about what you are doing, ask them questions, or play simple games (such as “I spy”). • As a parent, take quiet time to reenergize, take a bath, write, sing, laugh, play, or drink a cup of tea. • Participate in neighborhood activities such as potluck dinners, street fairs, picnics or block parties. • Join a playgroup or online support group of parents with children at similar ages. • Find a church, temple or mosque that welcomes and supports parents. • Make a list of people of places to call for support; even the best parents need help sometimes. • Ask the director of your child’s school to host a Community Resource Night, so you (and other parents) can see what help your community offers. • Provide regular routines, especially for young children. Make sure everyone who cares for your child is aware of your routines around mealtimes, naps and bedtime. • Talk with your children about how important feelings are. The month of April is designated as National Child Abuse Awareness. Each year TFI plans specific campaigns or activities in your areas to raise awareness. Some activities may consist of encouraging your office to wear blue jeans one day, placing blue pinwheels in your front yard to commemorate, placing blue pinwheels in businesses throughout your community, and many other opportunities. If you are interested in participating in activities or creating your own activity in your area this month, please contact your foster care worker so we can coordinate with you. The more activities we have, the more awareness we can bring! 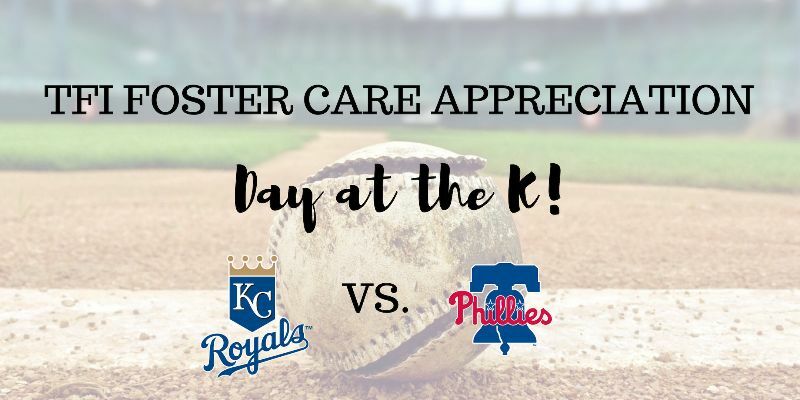 Kansas Foster Care Appreciation Day at the KC Royals Game! Jamin & Kyla Evans have been TFI Foster Parents for a little over a year. Their commitment to the children in their home is insurmountable to none. Since receiving their license, the Evans have opened their heart and their home to four foster children. They were successful in helping one teenage girl reintegrate back into her biological home and continue to maintain contact and be a support to her. For the past year, they have cared for a sibling set of two, and the past six months they have cared for a 17-year old girl that will soon be aging out of foster care. This family is well aware that time in placement is essential to foster children to help them obtain a sense of security and belonging in order to provide a solid foundation to help children heal and grow. 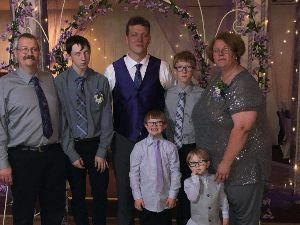 The Evans have 5 sons of their own so with a total of seven children still at home, their household can best be described as busy! Jamin and Kyla make it a point to show no partiality regarding their birth children or their foster children. The children are included in everything they do as a family. Jamin & Kyla have taken it upon themselves to also become more culturally aware by participating in Asian and Hispanic cultural events for their foster children. The Evans have been excellent foster parents to work with and are a true blessing for the children in their care. Here are some great resources for our Oklahoma families that provide a calendar of events (many that are at no cost), upcoming summer camps, seasonal activities, and places to visit throughout Oklahoma. Sarah Weller is an awesome foster parent. She is always ready to do anything that needs to be done as far as: paperwork, doctors’ appointments, court, or whatever DHS or TFI throws her way. Sarah is great to communicate issues she feels are important to the benefit of the children in her home. She is an amazing advocate for her children. She is the first to donate stuff her children have outgrown or no longer use. She stays on top of the children’s needs and loves them unconditionally. Sarah is a prime example of what a foster parent should be. Sarah runs a tight ship with a lot of structure and it shows in the children in her home. She is very loving, and explains things very well to the children. She is patient and kind. Sarah comes up with ways to help the children learn their manners and ways to remind the children to focus and have patience. Sarah works hard to make sure the children in her home are taken care of in all settings. 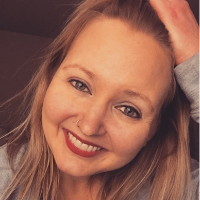 She wrote a 15 page letter for the biological mother on the routine of the children, what they do from wake up to sleep times, and what types of food they are allowed to have and not allowed to have for medical reasons. Sarah will help anyone with anything, she truly has a heart of gold. Congratulations Sarah Weller for being TFI’s Foster Parent of the Month! CrashWorks and Texas Family Initiative (TFI) are excited to announce the 1st Annual “Foster” Fun Block Party! Join us from 10-2 on Saturday, April 6 in Wichita Falls as we close down the block for some family fun! Click here for more information! -Admission to CrashWorks STEAM Studio & MakerSpace for some creative fun!!! In March, we celebrated Social Worker Appreciation Month. I have always been amazed of the awesome staff that TFI has working with our kids and with all of you. They all have the heart for what they do day in and day out, putting out fires, handling crisis, leaping tall building in a single bound. Well, maybe not the last one. There are so many things that make me proud to work at TFI Family Services. I like the fact that from the CEO down to the administrative assistants I am always welcome to ask questions, give ideas and opinions. I like that if I get swamped I have incredible co-workers that jump in and help me find my way out of the weeds. One of my favorite things is knowing that every night the kids that are in your homes are sleeping safely in their beds and wake up every day knowing they are cared for by what I feel are the best families in the 4 states that we serve. TFI prides itself in the work that we do, we appreciate the heart and love that you all give the children in your home. We are always looking for more families like you to help even more children. If you know anyone that would be interested in doing Foster Care please have them call or go to the website and fill out an application. We need more of you so we can take care of more children in need. Thanks for all you do…we couldn’t do it without you. The TFI Fund Development Department has a couple of upcoming Events in Kansas and YOU can join in the FUN! Sunday, April 7 at 2pm – 80’s Adult Easter Egg Hunt at Lake Shawnee Park in Topeka! Hunt for candy, tons of prizes plus a 5-day Cruise for two! Click here to learn more! Saturday, April 13 at 6:30am – Volunteer for the Garmin Marathon in Olathe and raise money for TFI Family Services! Click here to register! Money raised at TFI Fund Development events goes to support the TFI Kids Fund, benefiting children in foster care in Kansas, Texas, Oklahoma, Nebraska and Missouri. Adverse childhood experiences (ACEs) are a significant risk factor for substance use disorders and can impact prevention efforts. ACEs are stressful or traumatic events, including abuse and neglect. They may also include household dysfunction such as witnessing domestic violence or growing up with family members who have substance use disorders. ACEs are strongly related to the development and prevalence of a wide range of health problems throughout a person’s lifespan, including those associated with substance misuse.